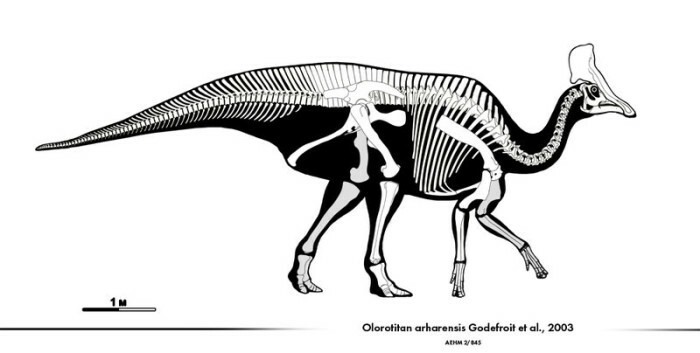 Olorotitan, a genus of lambeosaurine duck billed dinosaur from the middle or late Maastrichtian-age Late Cretaceous Tsagaan Formation beds located in Kundur, Amur Region, and Far Eastern Russia. 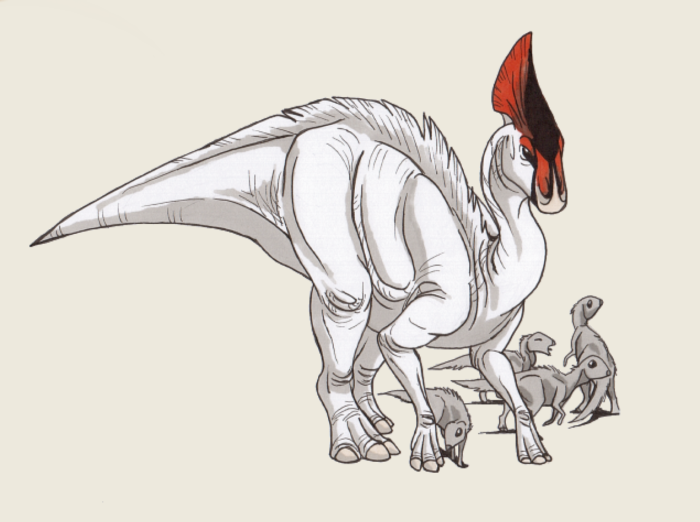 The Olorotitan dinosaur name means giant swan. 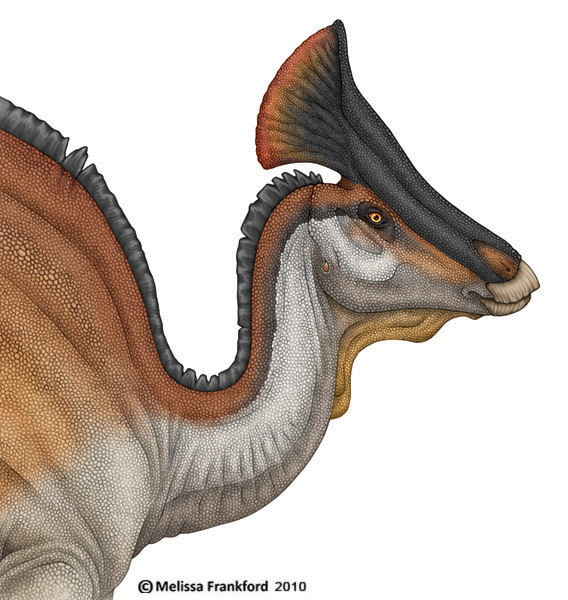 Not because it flies, but because these dinosaurs had a very long neck. They were herbivores with a maximum length of 30 feet so the paleontologists predicted. Scientists could tell that they ate mainly twigs, leaves, and conifer needles, because of the way the fossil teeth were shaped. Most remains were found in Russia and were dated during the late Cretaceous period. It’s very simple for professionals to determine what they looked like but hard to know the details of their behavior. Some believe that they lived in herds because the fossils were not often found alone and the animal had a hollow crest on its head. This was probably used for unique noises to interact with different herds and call out in stress. No crest on each of the dinosaurs were exactly the same so each would make unique voices. Even though 98% of the dinosaur species were found in the Formation beds of Kundur ( Russia ), there was also a few found in the Eastern areas of the US . This shows evidence that the two countries were possibly together as one and split out with an ocean in between after million years of evolution.